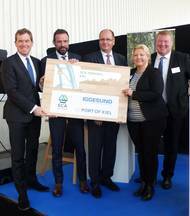 The new SCA Terminal was officially inaugurated during a reception on November 11 at the Port of Kiel’s Ostuferhafen. The Swedish concerns SCA (Svenska Cellulosa Aktiebolaget) and Iggesund Paperboard AB (Holmen Group) will use the new forest products and logistics center to handle and store 850,000 tons of their high-value paper products a year which will be distributed throughout central and western European markets. 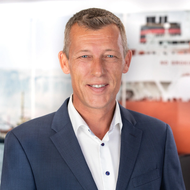 Dr Dirk Claus, Managing Director of the PORT OF KIEL (SEEHAFEN KIEL GmbH & Co. KG) said: “A port takes such an important step perhaps only once every ten years. OPDR, as part of the CMA CGM Group, has announced the introduction of its new PENN service. Via Rotterdam, the service connects Continental Europe with the United Kingdom and Norway. Short transit times and highly modern 45ft pallet wide high cube reefers provide best conditions for customers. In the course of substantially improving its Northern Europe portfolio, the short sea expert OPDR has introduced a new service. The new weekly PENN service links Rotterdam with the United Kingdom and three of the key ports in Norway: Oslo, Moss and Brevik. 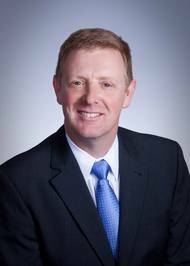 Effective August 6, 2016, Terma North America Inc. has appointed Steve Williams as President & CEO. 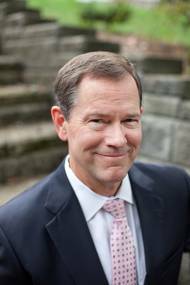 Since the beginning of 2014 until present, Williams has held the position of Regional Executive, Lockheed Martin International Business Development, Europe-Americas. Prior to this, Steve was Regional President for Lockheed Martin Continental Europe, and before that, Senior Director, Europe-Eurasia at Lockheed Martin Corporate. Prior to joining Lockheed Martin, he was president of a security and telecommunications company, leading business partnerships in the U.S. and Japan. As air emission requirements are becoming more stringent, one possible solution for reduced emissions is to use LNG as fuel for shipping. However take-up of LNG as ship fuel in Europe is still at an early stage. DNV GL has provided a report for the EU1 providing recommendations on how to address barriers to wider adoption. By November 2016 all member states have to submit national policy frameworks for the implementation of the EU alternative fuels Directive; the report’s recommendations are a useful aid in this. Cheniere Energy agrees to send 24 cargoes of liquefied natural gas (LNG), or 89T BTUs, from its Sabine Pass Terminal in Louisiana in 2017 and 2018 to French state-controlled power utility Electricite de France (EDF), its second deal in two months to ship the fuel to France after EDF agreed to buy as many as 26 cargoes last month. Cheniere Marketing International LLP, wholly owned subsidiary of Cheniere Energy, has entered into another sales arrangement with EDF for the delivery of LNG cargoes on an ex-ship basis or "DES" from the Sabine Pass LNG terminal. U.S. liquefied natural gas (LNG) exporter Cheniere Energy announced on Monday a deal to sell up to 24 cargoes to French energy giant EDF from 2017 through 2018. Under the deal, the sales price of the shipments will be linked to the Title Transfer Facility (TTF) in the Netherlands, continental Europe's biggest and most liquid gas trading point. But an industry source said Cheniere retained cancellation options as part of its deal with EDF, meaning it could wriggle out of some supply commitments if it found more profitable outlets in Asia or the Middle East. 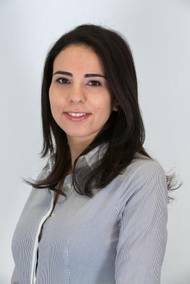 DNV GL - Oil & Gas has appointed Liv Hovem as Director of its Europe and Southern Africa Division. DNV GL’s Europe and Southern Africa Division is a provider of risk management, technical advisory and technical assurance services across the entire oil and gas value chain for global customers headquartered in Norway, U.K., Continental Europe and South Africa. In her division Hovem leads 2,200 people combining deep industry expertise, particularly in challenging operating environments gained from experience working in North Sea and Arctic projects. The Environmental Audit Committee has published the report of its inquiry into Protecting the Arctic. "The oil companies should come clean and admit that dealing with an oil spill in the icy extremes of the Arctic would be exceptionally difficult. The infrastructure to mount a big clean-up operation is simply not in place and conventional oil spill response techniques have not been proven to work in such severe conditions. Drilling is only currently feasible in the Arctic during a short summer window when it is relatively ice-free. Stork Technical Services has appointed Dave Workman to the new position of Chief Operating Officer (COO) and Erik-Jan Bijvank as Senior Vice President (SVP) UK and Africa. Mr Workman and Mr Bijvank will both be based in Aberdeen, UK, which is the operational hub for the company’s upstream oil & gas business, and take on their respective roles with immediate effect. As COO, Mr Workman will oversee all operational matters and help drive Stork’s global growth plans across the company’s four key regions; UK & Africa, Continental Europe, MECAP (Middle East, Caspian, Asia-Pacific) and the Americas. Reservoir Group has strengthened its portfolio of completion and production services with the announcement that two well intervention specialists have joined the ‘club’. The Tool Company, located in Assen, The Netherlands and the Aberdeen-based firm, Wellbore Intervention bring their expertise in coiled tubing well intervention to the portfolio of activities currently on offer from Reservoir Group. Both companies provide a variety of well intervention services to the oil and gas industry across the UK and continental Europe.